This photograph shows inmates H. H. Hyde, prisoner #8868 and B. Kelcaz, prisoner #8318. H.H. Hyde was received at the Kansas State Penitentiary on March 22, 1899 from Woods County, Oklahoma. 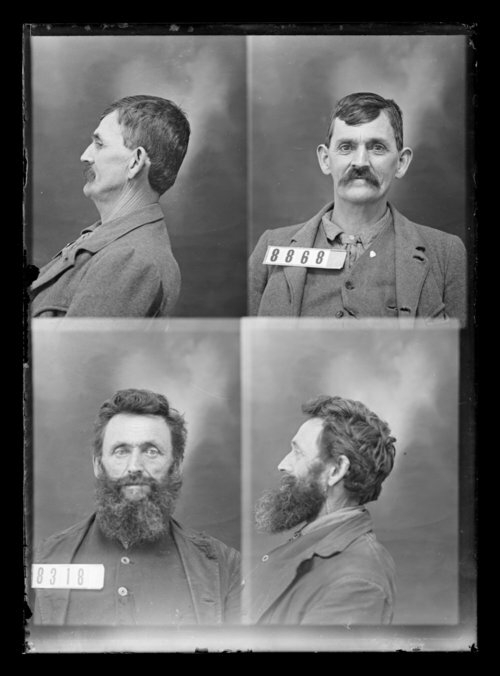 B. Kelcaz, also known as Belcher Kelseh, was received at the penitentiary on November 10, 1897 from Jefferson County, Kansas. Both men were arrested for assault with intent to kill.